Launch Lugs slide over the Launch Rod of the Launch Pad and are used to guide the rocket on its first few feet of flight until sufficient speed is developed for the fins to stabilize the model. Our 1/8" and 3/16" launch lugs are top-quality glassine coated mylar lugs. The 1/8" lugs fit a standard 1/8" launch rod and are 1 1/4" long. The 3/16" lugs fit a standard 3/16" launch rod and are 2" long. The 1/4" lugs are made like miniature body tubes and are designed to be used in pairs. They are 1" long. 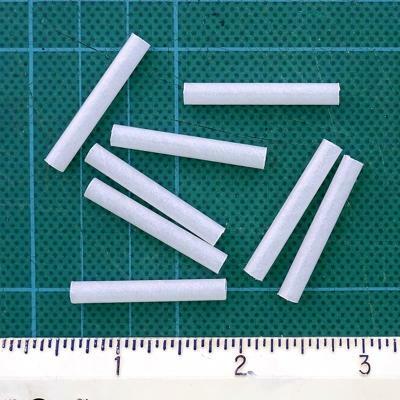 1/8" Launch Lugs for Model Rockets. 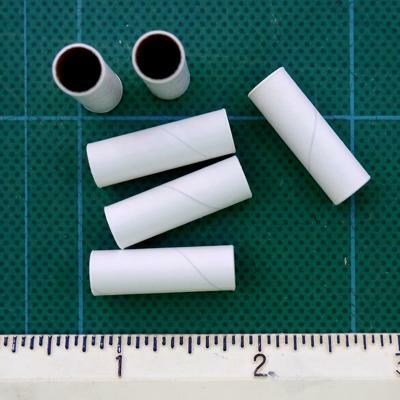 3/16" Launch Lugs for Model Rockets. 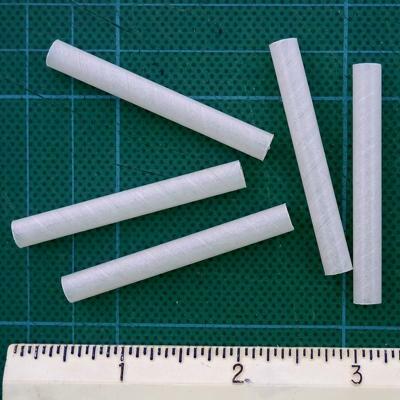 1/4" Launch Lugs for Model Rockets.